Help churches and mission fields find individuals and teams to assist them with short-term ministry projects. Find opportunities that meet the gifts and expectations of those who wish to serve on a short-term basis. Mobilize the church to respond to disasters. Encourage the church to grow in service. In 2005, although not fully staffed to do so, the OPC Administrative Offices rose to the challenge of organizing a major relief effort in response to Hurricane Katrina, utilizing the many volunteers in the church who wanted to serve. It soon became evident that the OPC needed to establish a permanent disaster response ministry, with a full-time coordinator at the ready the next time disaster should strike. Read the full story: "History of OPC Disaster Response." In addition, over the previous decade, the Committee on Foreign Missions had seen a great increase in short-term involvement with OPC foreign mission fields. And, the workload of the Committee on Diaconal Ministries was growing as more and more diaconal needs within the church were brought to the attention of this committee. These together precipitated the hiring of an Administrator for the Committee on Diaconal Ministries who would also serve as a Short-Term Missions and Disaster Response Coordinator. The Short-Term Missions and Disaster Response Coordinator reports to the Committee on Diaconal Ministries (CDM), and serves as the Administrator of the CDM. He also serves both the Committee on Home Missions and Church Extension, and the Committee on Foreign Missions, in coordinating and facilitating short-term missions and disaster response efforts at home and around the world. David P. Nakhla grew up in the OPC at Calvary OPC in La Mirada, California. He has always had a keen interest in missions and OPC missionaries. He was thrilled to meet his wife, Faith, an OPC "MK" (missionary kid) on a short-term missions trip. Over the years, David enjoyed several mission trips to OPC fields (Eritrea, Uganda & Haiti) as well as participation in several disaster response efforts (Katrina and Haiti). In 1997, David was ordained as a deacon, and in 2002, he was ordained as a ruling elder. After 15 years of working as an engineer, he opted to make a career change and responded to the call to serve the OPC as its first Short-Term Missions and Disaster Response Coordinator. In August 2010, the Nakhlas relocated from Southern California to the Philadelphia area to take up this new work. David and Faith have been blessed with five children: Tina, Maddie, Emma, Josiah, and Marcus. 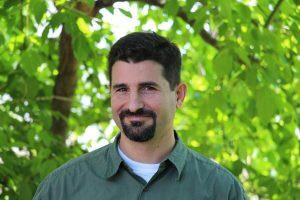 Learn more about David: "Meet Our First Short-Term Missions Coordinator: David Nakhla." In October 2013, the Committee on Diaconal Ministries hired Janet L. Birkmann as a part-time Administrative Assistant. Before this, Janet worked as the Office Secretary for the Committee on Foreign Missions for three years. And prior to that, Janet spent 28 years in the field of medical education, serving at the last as the Physician Education Manager at Albert Einstein Medical Center in Philadelphia. 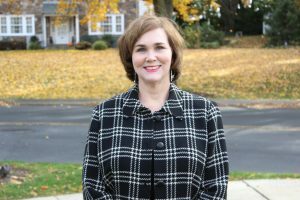 Janet grew up in the Philadelphia area and is a trustee and long-time member of Calvary OPC in Glenside, Pennsylvania. In her current position as Communications Coordinator, Janet interfaces with short-term mission fields, team organizers, and team members; promotes and documents OPC short-term missions and disaster response at OPC.org, OPCSTM.org, OPCDisasterResponse.org, on Facebook, in New Horizons, and through our S.T.O.R.M. Report newsletters; promotes and documents OPC diaconal ministries at OPC.org and through our Mercy Minute newsletters; and assists David Nakhla with his administrative responsibilities.